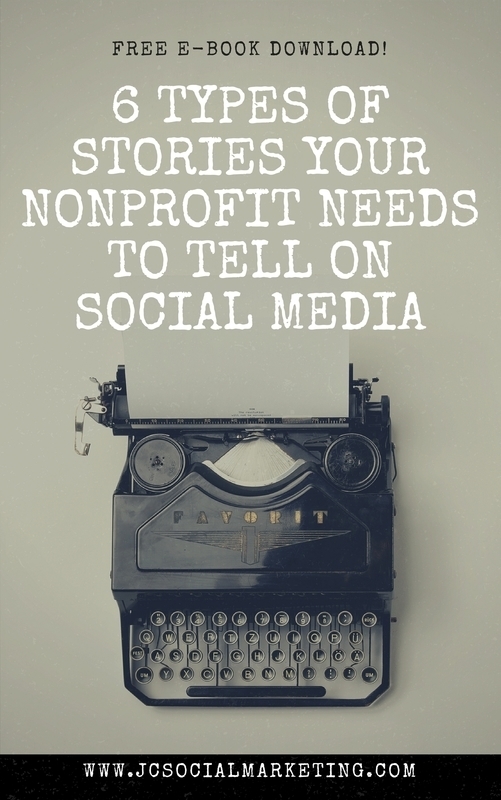 Social media continues to perplex, overwhelm, and frustrate many a nonprofit marketer. You are discouraged by your lack of “results” and “ROI” – and your supervisor is also. You post promotions on social media, fairly consistently, but no one engages. You feel like social media is a total waste of time – you’ve got emails to answer, phone calls to make, meetings to attend! I get it! The job of a nonprofit marketer is never done. #1 – You are confusing marketing with fundraising. Yes, marketing and fundraising are related and yes, they should be in sync. BUT the purpose of each are distinct and require different tactics, tools, and skill sets. I talk more about this on my blog. #2- You are using your channels like a billboard. I never understood the point of billboards for nonprofits. For a local restaurant that’s coming up at the next exit yet, or a gas station, or something that you buy while you are driving – yes. But for a cause? For an issue? Do they really work to drive donations? d) convince me to take a specific action – all in the 2 seconds that I’m driving by the billboard – I just don’t get it. If your marketing isn’t working, I’m willing to be that your emails and social media posts are interrupting people who don’t know you or trust you. So how can you calculate your nonprofit’s unique social media ROI? 1) Your fans would put your bumper sticker on their car. Car, laptop, Trapper Keeper – your fans love you so much that they would put your sticker on their most valuable possessions. They would wear your t-shirt, drink from your coffee mug, and use your branded water bottle (even though it probably leaks, let’s be real). Your social media platforms should be cultivating this sense of community. In the digital space, in lieu of physical bumper stickers, you can create cover art and photo frames for people to use on their profiles. Cultivate a group of Social Media Ambassadors, and give them a badge to add to their blogs, websites, and social media channels. There is such power in getting your supporters to brandish your logo in public, to their networks. It is the way that we identify to others what we stand for. It’s a public declaration of our values and our worldview. It’s also the way that we attract like-minded people that stand for the same things. I feel an instant kinship with others who support the same charities. It helps us build our tribes, establish our personalities, and make connections online. 2) You aren’t afraid of haters. Haters, trolls – they don’t scare you! If your social media work is successful, you simply brush your shoulders off when you get a negative comment online. You aren’t worried about criticism on social media, because you know that your online community has your back. You have confidence in your community members. They are there for you. They will step up to bat, insert themselves in conversations to set the record straight, and defend you to people who hate on your org, your cause, and your issue. Because an attack on you is an attack on them – what they stand for. You know that feeling that you can’t put your finger on, when things are going well and you feel like you are really doing work that matters? The way to know if your social media marketing is working, or on it’s way to really working, is if you feel good about it. You don’t feel slimy. You don’t feel evil. You don’t feel smarmy, or manipulative, or yucky about the marketing messages you send out. Instead, you feel like you are building something. The only way to do this is to be human online. Focus on making real connections, not just pushing out promotions to get a few more clicks. Pride in your work also means that you know you could approach your community with an ask, and they would respond. They would provide feedback. They would open their wallets. The only true currency on social media is trust and attention, and the only way to get it is through valuable communication that is desired and needed by your online community. The failure to get strangers to engage on social media cannot be blamed on Facebook, Instagram, email, Twitch, or any other platform. The blame lays in the strategies that you employ and the way in which you use the tools and the platforms. Focus on leveraging social media for marketing, but in a way that builds community, showcases impact, and drives action.